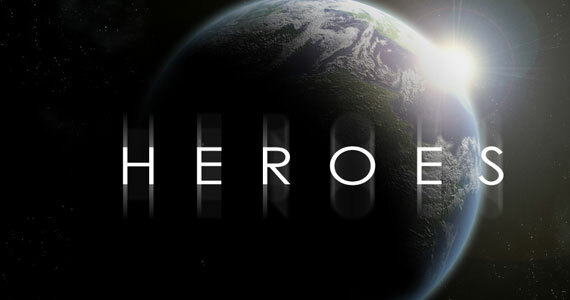 The show “Heroes” started out as a fun but derivative concept – the hero origin story. More pointedly, “Heroes” is a take on the X-Men. You’ve got your mind reader (Professor X), the guy who can fly (Angel), the girl who can regenerate (Wolverine), the girl who can look like anything (Mystique) and a bunch of others, but it was fun at the beginning since everybody loves the “origin” story. It’s fun to watch people get new powers and then learn how to use them as well as their limitations. It’s plain ol’ good vs. evil. The evil on the show is Gabriel Gray, a nerdy watch repairman who took the lame moniker of Sylar from one of the brands of watches he fixed. He is able to acquire other powers by (he thinks, but I’m not so sure) eating other hero-type people’s brains. Lovely. The first season was fun and I stuck around to see if New York would indeed be destroyed by the man who can’t control his powers, Peter Petrelli. Peter had acquired nuclear capabilities from Ted Sprague. Peter, unlike Sylar, gets powers by being around people who already have the power he will develop. I think Sylar operates the same way but he just doesn’t know it. Half the joy of season one was watching Hiro, the time-traveling Japanese office worker, discover his ability and then realize that it can be fun as well as powerful. His journey, of all of them, has been the most enjoyable to watch as he grows. Anyway, there was this “mastermind” named Daniel Linderman (he has powers too – regeneration) who was going to bring about a new age by having Peter Petrelli destroy New York with his nuclear capabilities and then get Peter’s brother Nathan elected president. Nathan helped Peter get out of the city by flying up into the stratosphere before exploding. In the “destroy NY” show Linderman is shot to death, right through the head, and can’t regenerate. He’s dead. Really dead. Which brings me around to now. Ain’t It Cool News is linking to a story where someone from the BBC is giving away what’s in a season 3 ‘Heroes’ promo. I’m talking spoilers, so if you care and watch the show, skip the next paragraph. What?! Why can’t they kill anyone on this show and not have them stay dead?! Why can’t someone just die and be really dead?! The freaking guy was SHOT IN THE HEAD. Kill him! Kill him! Have him be dead, really dead! Bad guys, even SUPER BAD GUYS, die! Come on, man, just kill someone off of this show and have him be gone! He wasn’t that cool or anything. Even his name is lame. He was even lamer than the guy that could paint the future.1Don’t even get me started on how cool it would have been to have Hiro fighting a Tyrannosaurus. That would have rökked. Jeez. And man, I’ve hung on even through the lame new characters they tried to introduce last season where all I wanted was for the girl who’s eyes turn black to die. The sweet release of her death would have been a high point of last season, but no, they had to have her “fall in love” with Sylar. She’s as lame as Nikki and Paulo on “Lost” were and the creators of “Lost” were smart enough to kill them off! Kill Black Eyed Girl! Kill her as soon as possible! The list of people on the show with powers just keeps growing. Nikki, who supposedly died in an explosion, I’m sure will turn up alive. Nathan, who was shot at the end of last season right before he “came out” about his flying power, I’m sure will be back too. Claire’s dad, who’s death was very powerful on the show, was resurrected. Sylar himself probably was dead but they’ve brought him back to annoy us with his “my-head-is-down-but-I’m-looking-at-you” eyes and stupid way of talking again. And Hiro can’t even kill a bad guy; he has to bury him in a coffin alive. The guy he buried is immortal so I’m sure he’ll turn up again, as usual. The only one that I really am glad is back is Hiro’s friend Ando. Ando is one of the few people on the roster without powers which is probably why I like him so much. Can’t we have fewer people with powers? To see their perspective on those with powers? And can’t this freaking show thin the ranks a little bit before the whole planet is on the show because, you know, they ALL have powers? Share the post "I’m (Probably) Done Watching “Heroes”"
Previous Post: Have You Ever Actually Read the Declaration of Independence? We were late to the Heroes party given the time delay between the show airing in the U.S. and its eventual release in Europe (they need time to dub the language and sort out the subtitles). Although the Swiss Romande station broadcast the show in dual audio (meaning the English track is available), the subtitles are only in French. That meant that any time Hiro and his Japanese cohorts had a conversation, we were reading it in French. Despite the complexities of language, we were hooked on the show pretty quickly. We followed the first season closely with (mostly) unwavering interest. The second season just plain lost us, though. The first episode was pretty much a steaming pile of crap. But that is just one episode, right? We slogged through two more and then declared ourselves done for the show. We quit Heroes cold turkey.